We'll check, thanks for the report! Try verifying game integrity via Steam and/or modifying the cabal name and see if it works. I've verified files via Steam & tried changing the name and it didn't help! 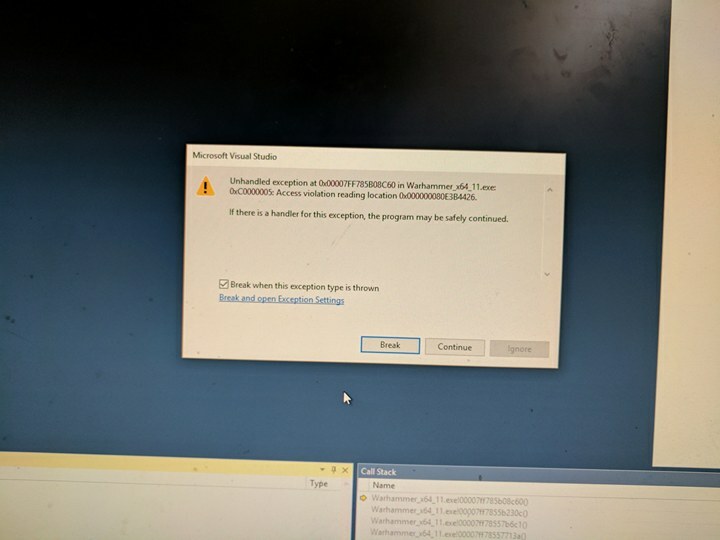 An unhandled win32 exception occurred in Warhammer_x64_11.exe.